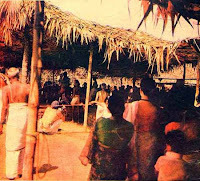 The Yagashala is built using bamboo and is thatched with palm leaves. Particular care is taken that iron or other metals are not used. All measurements of the Yagashala are the multiples or divisible of the height of the Yajamana – the head priest who performs the sacrifice – when he stands upright with his arms raised in a posture of supplication. 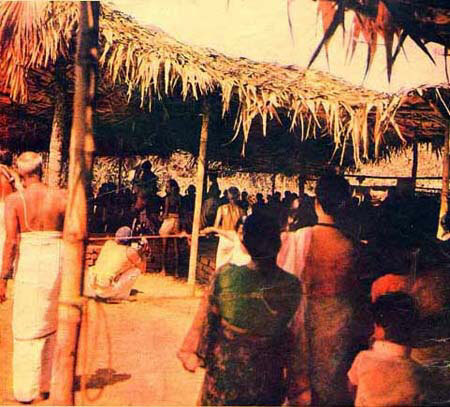 The yagashala has several chambers each intended for different rites during the Vedic Yajna.